Taking advantage of the growing number of astronomy educators around the globe, the International Astronomy Union is launching a call for proposals for the promotion of the Open Astronomy Schools (OAS) teacher training events. The main goal is to reach 100 nations with innovative astronomy teacher training events following the criteria established for the OAS. The Open Astronomy Schools (OAS) is an IAU100 Global Project that intends to engage 100 nations in promoting teacher training events focusing on the development of scientific literacy and the acquisition of modern teaching skills in the framework of IAU100. 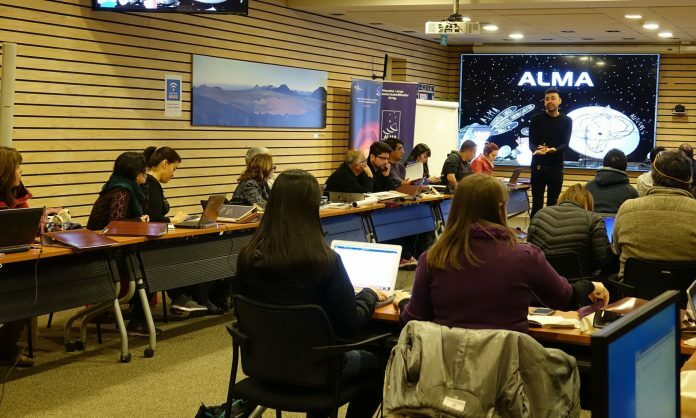 The Open Astronomy Schools (OAS) call for proposals provides seed funding (up to 500 Euros) and basic support to stimulate teacher training workshops in, but not limited to, developing regions. This funding, to support the OAS activities, can be used to produce materials to workshop participants or travel/subsistence support for teachers to attend the workshop. The call for teacher training proposals in the framework of the OAS will be permanently open until the end of the IAU100 celebrations. Promoters willing to have endorsement and certification of their training sessions should present their proposals here. Each proposal will be reviewed by the OAS task force and the approved sessions will be eligible to use the OAS-IAU100 logo, to be announced in both IAU100 and OAS site and social media. Participants will be entitled to receive the OAS-IAU100 participation certificate and promoters the OAS-IAU100 ambassadors certificates. Furthermore, the IAU has earmarked a small amount of funding to support the OAS activities. This call for proposals is targeted at providing seed funding and basic support in order to stimulate teacher training workshops in developing regions. Note that although this funding is aimed specifically at “developing countries”, exceptions with appropriate motivation will be accepted – the main concern simply being who the beneficiaries would be. Proposals should also be in alignment with the IAU100 goals and more specifically the OAS goals listed above. These small grants (up to 500 Euros) are intended to simply act as a stimulus to support organizations who are enthusiastic about improving the science teaching in classroom worldwide. 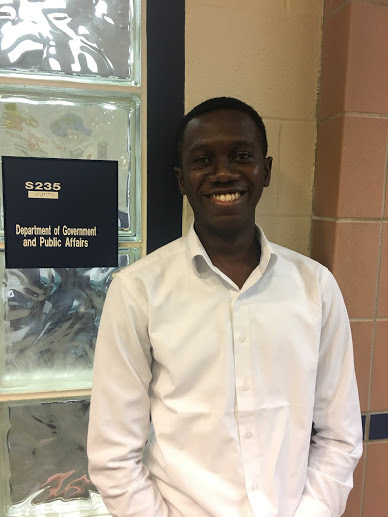 Efficient use of these funds to train teachers capable of further training of other peers and successfully implement the learned resources and tools in the classroom would result in a solid start of a local community for the global OAS effort. Funding will be limited to a maximum of 500 Euros per proposal. Only completed application forms will be considered. Submission must be on the English language. Successful applicants will be required to sign a Terms of Reference and abide by the grant’s reporting criteria. The following criteria will be considered in the selection of projects. Alignment with the IAU100 Goals. Quality and relevance of workshop content. Innovativeness and creativity of approach. Cost-effectiveness of the project including a detailed budget. Potential to raise funding from other sources. The degree of impact of the project with potential for sustainability. The proposals will be reviewed and evaluated by the OAS Task Group in consultation with the IAU 100 committee. All proposals must be submitted in completed application forms. The call for proposals will be open until the end of the IAU100 celebrations. Proposals requesting funds have to be submitted until 28 February 2019 at 23:59h CET. All applicants requesting financial support will receive feedback regarding the decision in late March 2019.